In the last few years, Madrid has gained the reputation of being one of Europe's most active and attractive cities for its nightlife and cultural activities. 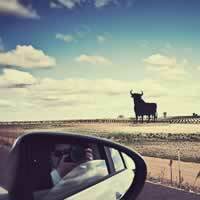 Capital of Spain since 1562, Madrid's museums host, among others, Dalís, Mirós and Picasso's Guernica. Madrid is a city of great contrasts: the Old City, the Madrid of the Hapsburgs, the Royal Palace, the Puerta de Alcala, the Retiro Park. At night, the city changes gears with its famous Madrid nightlife. The city's endless energy is hard to resist, and its sociable style invites you to jump right in. Palacio Real, Plaza Mayor, Prado Museum, Puerta del Sol, Puerta de Alcala, Plaza de Cibeles, Gran Via, Madrid Cathedral, Thyssen-Bornemisza and Reina Sofia Museums and so much more! Barcelona, the old Roman Barcino, is Spain`s second city, always on the biting edge of fashion, architecture, food, style, music and good times. Walk its narrow streets and wonderful plazas, or along the Ramblas, stretching from Plaza de Cataluña to the Harbor, encompassing the magic of the city: stalls full of books, birds and flowers. The city`s most powerful monuments open a window onto its history: the intricately carved edifices that comprise the medieval Gothic Quarter; the curvilinear modernism (Catalan Art Nouveau) that inspired Gaudí's Sagrada Familia; and the seminal surrealist works of Picasso and Miró, found in museums that peg Barcelona as a crucial incubator for 20th-century art. The recent restoration of the port area began with the development of a harbor for the Olympic Games of 1992. New modern squares, designed by leading artists such as Miró and Barceló have created a new style alongside Gaudi's modernist buildings. Now the city is ready to show every visitor how it has been transformed into one of the most moderns and active cities in Europe. Sagrada Familia, Picasso Museum, La Rambla, Barri Gotic, Park Guell, modernist buildings, Montjuic Hill, Barceloneta and so much more! 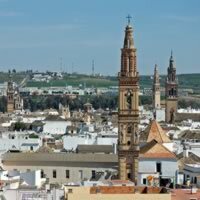 Seville is the largest town in the famous Southern province of Andalusia, best known for the impressive Cathedral with its Giralda tower, as well as the Alcazar, which also serves as a visiting residence for the Spanish Royal family. 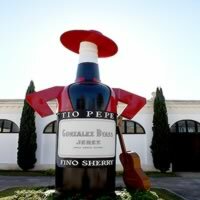 Seville seems to move at half the pace of a normal major city, creating a relaxing and even small-town atmosphere that complements the sevillano way of savoring every moment of life, bite of food and sip of drink. Don`t forget your dancing shoes, because from the moment the sun goes down right up until it comes up again, the bars and clubs of Seville's nightlife are brimming with festive people, great music, lively conversation and unrivaled excitement. Cathedral & Giralda, Royal Alcazar, Gold Tower, Barrio Santa Cruz, Archivo de las Indias, Maria Luisa Park, Triana, Fine Arts Museum, Flamenco and so much more. 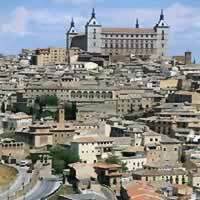 Granada is a jewel standing at the foot of Spain's highest mountains, the Sierra Nevada. Like many others, this city bears the marks of Roman, Moorish, and Jewish influences. The universally famed Alhambra, a complex of palaces and gardens built under the Nazari Dynasty, overlooks the city. Notably, Isabel and Ferdinand lie buried inside the city's Cathedral. The famed "mudéjar" style of architecture can be spotted in the Monastery of La Cartuja and many other churches built by Moorish craftsmen. Cordoba offers a powerful multi-cultural sampler. Founded by the Romans, Cordoba`s glory peaked under Moorish rule, who built the beautiful Grand Mosque, or `Mezquita`. The Christian rulers decided to leave it standing and built a cathedral in the midst of its rows of arches and columns. Cordoba's treasures also include the Alcazar, built by the Christians in 1328; the Calahorra Tower, originally built by the Arabs, which guards the Roman Bridge; and the ancient Jewish Synagogue, now a museum. The Mezquita, Alcazar, the Roman Bridge, Calahorra Tower, Jewish Synagoque, Juderia (Jewish Quarter), Patios Cordobeses, Palacio de Viana, Medina Azahara, and more! Surnamed the "White Island" for its typical architecture, Ibiza is a major center of tourist attraction since the 1960s, when it become famous for its "Hippie-Culture" and nudist beaches. Nowadays, Ibiza is known as the 'clubbing capital of the world,' hosting the best parties. 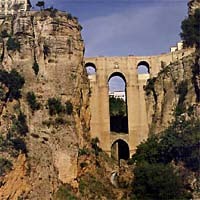 But the island has a whole lot more to offer its visitors: a Mediterranean culture, and remains of the earliest Phoenicians settlements, Arab and Catalan period influences and those left over by the once-existing Renaissance bastions, as for instance the famous wall-paintings of Ses Fontelles. Beaches, club scene, D`Alt Vila and Historic Ibiza Town, Ses Salinas, San Gertrudis, Sa Penya, Cueva de Can Marca, es Vedranell and so much more! 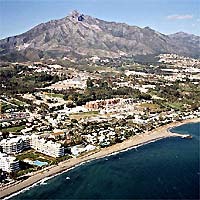 Marbella is deservedly one of the Costa del Sol`s prime destinations. The historic part of town, sitting on a beautiful bay, shelters lovely corners of a typically Andalucian flavor, with whitewashed houses and orange trees adorning the streets and squares. Its excellent climate, beaches, natural surroundings and its major sports complexes are just some of the countless attractions which this town on the Málaga coast offers. From Cabopino to Guadalmina, Marbella offers the visitor 16 miles of beautiful coastline with a succession of sun-drenched beaches equipped with all kinds of services, which include modern hotels, residential complexes, shops and restaurants. Momentous landmarks, historic towns and villages, plus delicious cuisine and great wine, beautiful flamenco dancers and vibrant nightlife! Endless possibilities! Experience a different side of Europe: spend some time in your favorite European City and then a couple of days relaxing in one of Europe's most popular beach destinations. 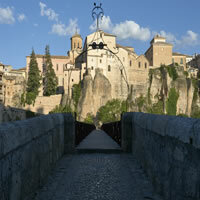 Perched on a limestone spur high above the Júcar and Huécar rivers, lays the UNESCO World Heritage city of Cuenca. 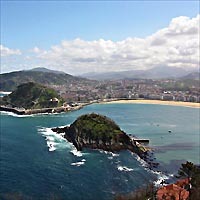 Founded by Moors, it retains its Historic Walled Town with steep cobbled streets and medieval castle ruins., it's most famous for its well-preserved "casas colgadas," or hanging houses. Narrow meandering streets separate tall houses with wooden balconies that literally jut out over the sheer cliffs. The historic and artistic importance of the city is undeniable. Towering over the main square is the Cathedral, a magnificent and majestic building from the 12th century, one of the earliest example of Gothic style in Spain and it contains Romanesque elements along with Renaissance additions. Cuenca has established itself as a vortex of abstract modern art. Two of its most iconic buildings – including the famed casas colgadas (hanging houses) – have transformed their interiors into modern galleries. 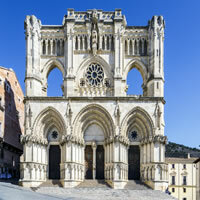 Cuenca offers an impressive list of ten museums from the Castile-La Mancha Science Museum to the Museum of Religious Art and The Spanish Museum of Abstract Spanish Art, the first museum of its kind in Spain.